Throwing a party should be fun, not stressful … especially on Maui. Let KCK Entertainment help make your next party a huge success without adding stress for you. 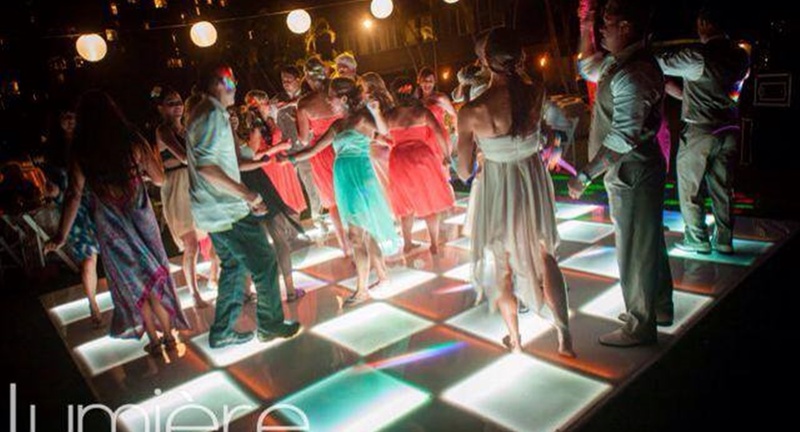 We offer a comprehensive catalog of dance floors, sound systems, and lighting rentals. Our exclusive LED dance floor rentals will make your next party special. They display up to 16 million colors, and you can fully customize patterns and effects! A sound system rental can make all the difference for your next event or party. We’ll include a professional mix board, speakers, and wireless mics. We’ll even make it easy for Auntie or Uncle to plug in to play a special tune! Take your party or event to the next level with specialty lighting rentals. We offer LED uplighting, tent lighting, ocean lighting, and monogram lighting. Your imagination is the limit. We can light up almost anything! Give us a call today at (808) 206-5905 or use the contact form to book your date and set up a free consultation.